Especially when it’s a total surprise. Last week, when the girls and I went to the post box, there was a fat envelope waiting for me. 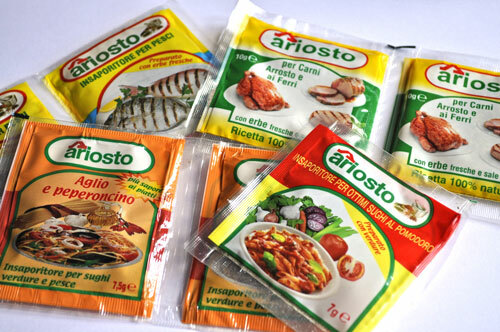 The lovely people at Ariosto sent me another gift package of their delicious herb seasoning mixes. As luck would have it, I had chicken thawing for dinner. I replaced the paprika, chili powder, salt and pepper with a packet of the meat seasoning mix. Mon mari was most pleased…. as was I. Thank you so much, Ariosto! Reduce heat to 400F (200C) and bake for 15 minutes. 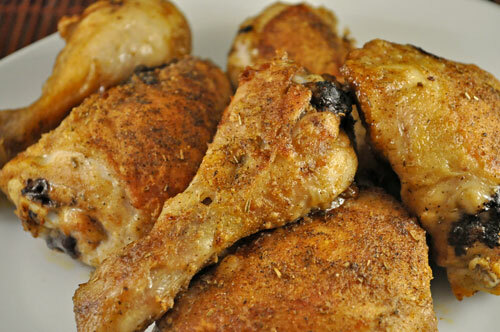 Remove from oven, turn chicken and bake for 15 minutes longer. Look – even the windowsill is cleared off. 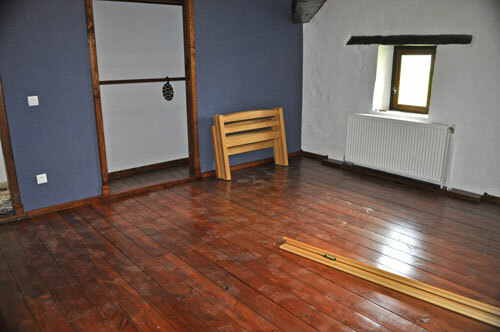 The floor is varnished and the beds cleaned and brought in from the barn, getting ready to put it all together. Thus all the dusty footprints…. So, mon mari went on to the next project…. which was replacing bits of trim that came unglued over the winter. He nailed them this time. The fun part was the little piece over the stairs. He put some boards across the stairs, put the big ladder on the boards, then used the little ladder to climb over the railing to get on the big ladder. 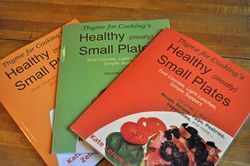 You all remember my cookbooks, right? BTW, I sold one in Japan…. Now that my winter projects are done, and I have nothing to keep me busy except the dogs and the potager and the mowing and the cleaning and stuff…. I’m thinking about doing another book – or two. I could do one for summer – salads and grilling and that sort of thing. I could do one for next winter – risottos and pastas and that sort of thing. I could do one about all of the interesting, crazy, upside-down things we’ve done trying to live our life in France and that sort of thing. Or I could just not…..
Well, you’ve done “small plates” in two volumes. The seasonal idea is good, though spring and fall may think poorly of you, and treat you badly in revenge. Definitely shop around a book with a publisher on the house restoration; lord knows you’ve got the pictures to prove it! 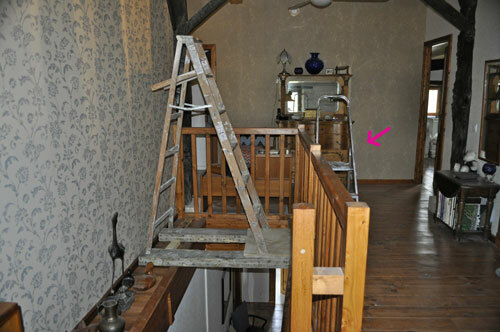 Yes, house restoration and life in France! Go for it – do all three !! You could do the house restoration story with recipes. What you have done is book worthy and your sense of humor will shine through.